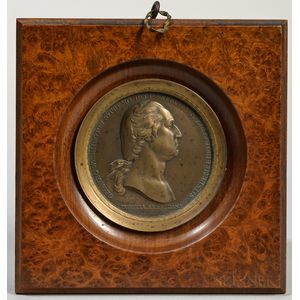 Washington before Boston , Bronze Medal by Pierre Duvivier, 19th Century. 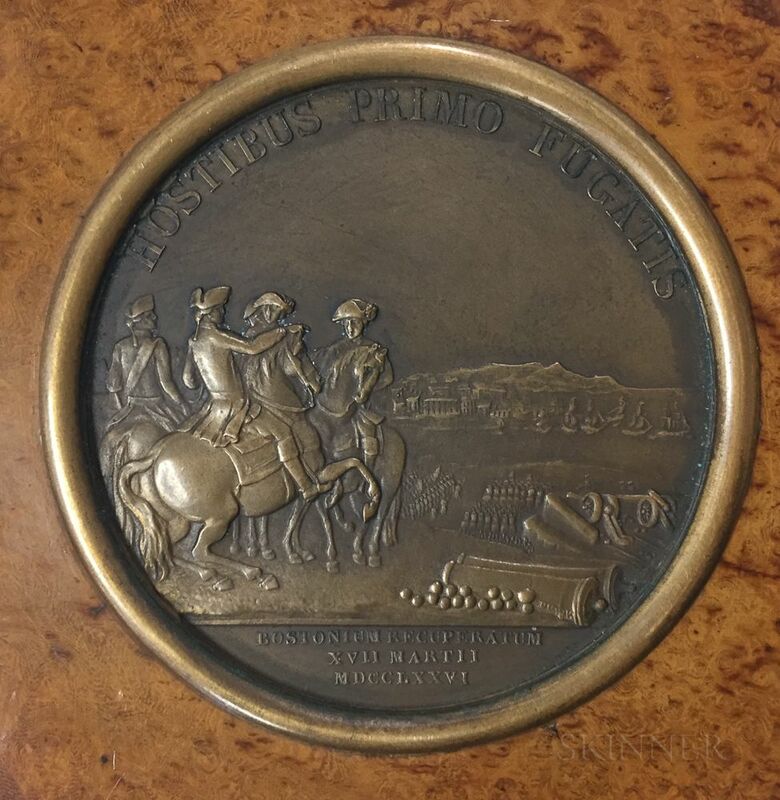 Washington before Boston , Bronze Medal by Pierre Duvivier, 19th Century. 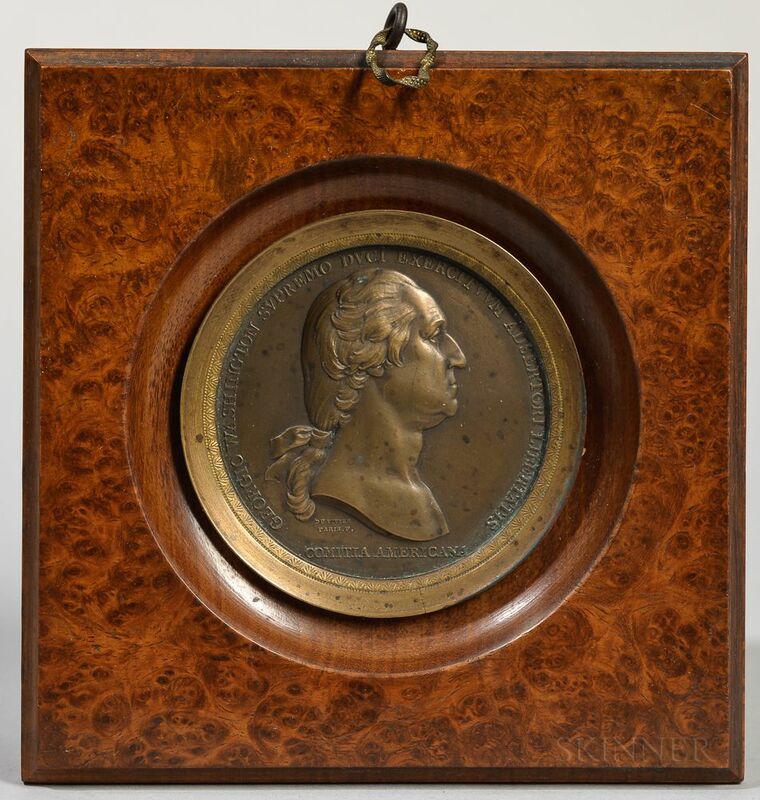 Washington before Boston, Bronze Medal by Pierre Duvivier, 19th Century. 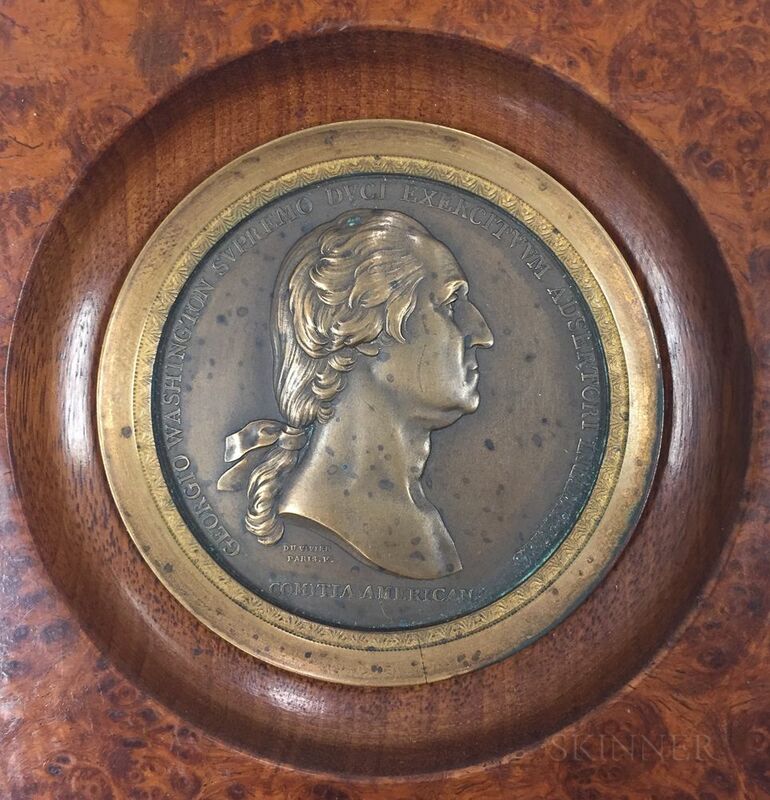 Commemorative bronze medal, the largest medal in the Comitia Americana series, celebrating the victory over the British and their evacuation on March 17, 1776; with an undraped bust of Washington in profile right after a sculpture by Jean-Antoine Houdon on the obverse and the legend, "Georgio Washington, supremo duci exercituum, adsertori libertatis, Comitia Americana," and signed Duvivier, Paris F.; reverse showing the evacuation of Boston, with the American army advancing toward the city seen at a distance; the enemy retreating to their vessels; in the foreground General Washington appears on horseback with a group of officers; above, "Hostibus primo fugatis," and below, "Bostonium recuperatum XVII Martii MDCCLXXVI," mounted in a carved burl frame set with an engraved brass retaining ring, the medal patinated, not removed from frame, 2 1/2 x 2 1/2 in.